How did you get into Archaeology? 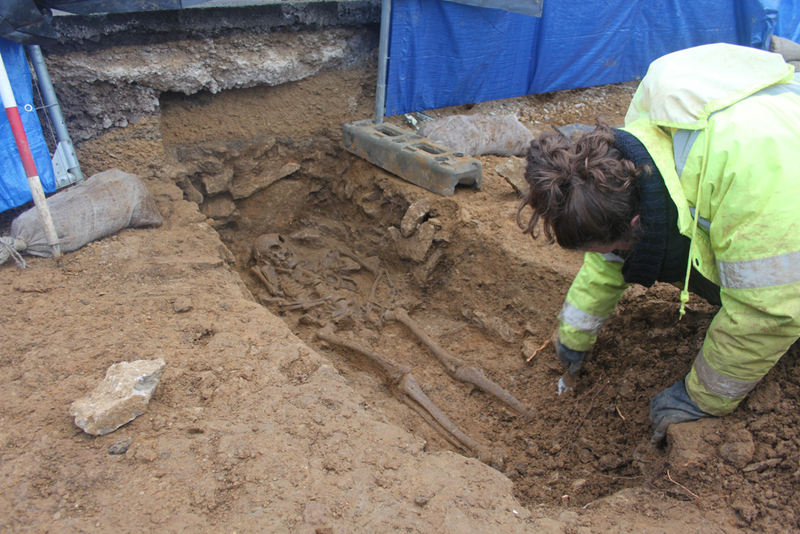 I got into archaeology by accident – I hated school and was looking for an outdoorsy job. 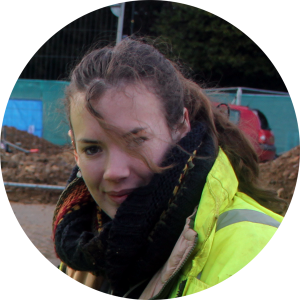 I picked a degree with joint honours and loved the archaeology aspect more and more – I ended up choosing more arch modules than anything else! Before and during my degree I volunteered at places, took internships at museums and won academic achievement awards. Because of this I already had a CSCS card, two weeks of GPS work each year and I’d completed 200 hours of work experience. I’d recommend trying to do some of those things, because I believe they’re part of the reason I got this job, and so quickly – I completed my degree in May and started working for CA in the June. How do you feel about working with CA? I feel that CA has 100% progressed and developed me. I started out on a complicated site and everyone was helpful and pushed the Development Log programme. You need to use your initiative, but if you need to learn something people are happy to accommodate it. One of the things I particularly love about working here is the teamwork – on the whole, everyone has been supportive, protective and friendly. The people are relaxed and the atmosphere is jovial… But then, I bake a lot which people like! It’s not teamwork in a sense, because you generally dig by yourself, but everyone’s approachable when you need to ask for help. I love that archaeology is never samey; you work on different sites and you’re always moving around. If you’re open minded and relaxed it’s an easy lifestyle. Having said that, if it’s raining heavily and the archaeology gets ruined it is annoying! 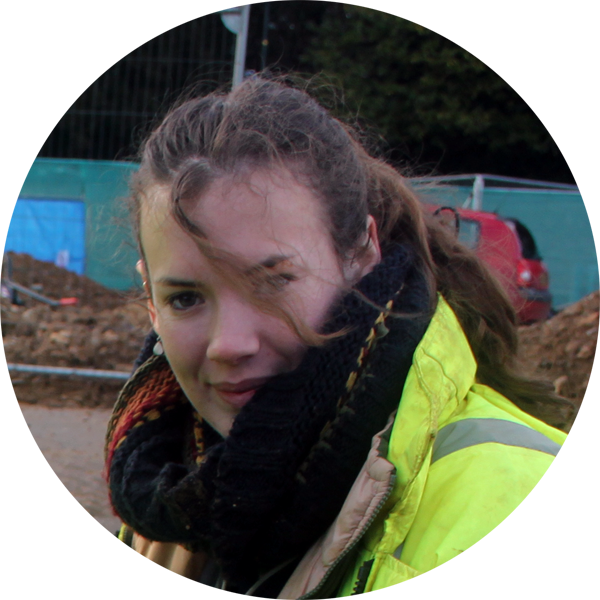 I really like CA and fieldwork, so I’m thinking of doing a Masters or PhD part-time; not only am I interested in the subject, but I want to be a good archaeologist. I am looking to progress my career, but before I advise other people I’ll need to know what I’m doing, and you don’t really get to do much digging once you’re a Project Officer or Manager. I also think I’ll be more confident supervising others when I know more.